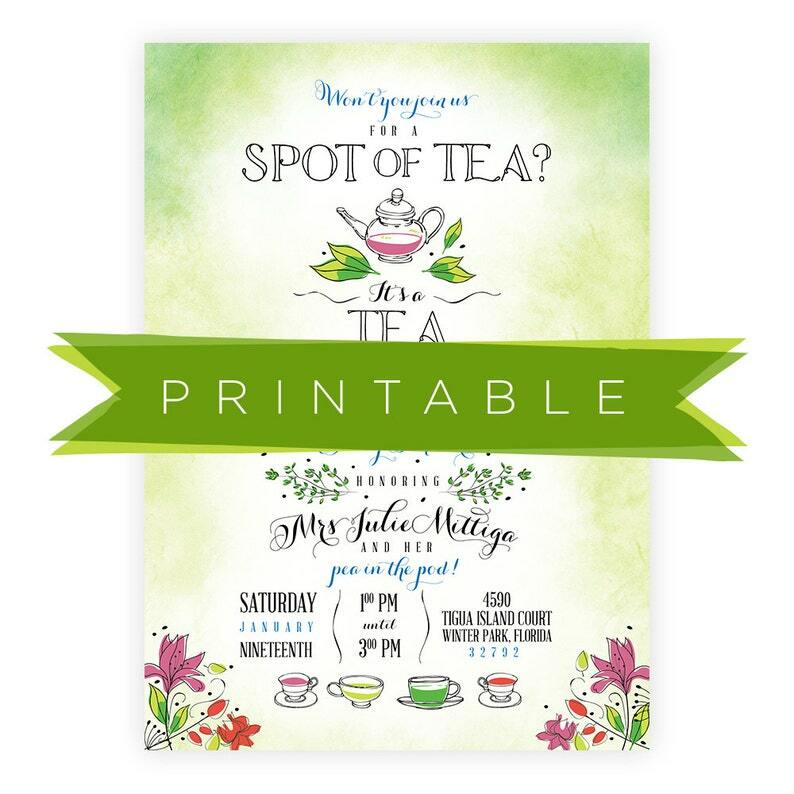 A sweetly sophisticated invitation to tea for your lovely mother-to-be! This design features hand drawn details and a watercolor background for a unique and colorful take on the tea party trend. ② During checkout, include your custom details in the message to seller box. ③ Receive a proof within two business days via an Etsy convo. Approve or request edits. ④ Receive final, high-resolution PDF via email within one business day of art approval. Rush orders can be accommodated. Please let us know from the get-go that you need it fast! Mountain Paper loves to make pretty things for you! We are always open to commissions for custom designs. Invitations of my dreams! <3 Fits my theme perfectly. PayPal and Etsy Direct Check Out accepted. For larger orders and custom wedding projects, a PayPal invoice will be issued for the final amount due upon art approval. Checks via snail mail are accepted, but no work or printing will be done until funds clear. Your purchase of your final custom listing releases Mountain Paper from any printed inaccuracies, so please review all images and details carefully prior to purchase. We are happy to refund any order that arrived damaged, incorrect or just plain didn't arrive. We are happy to refund printable purchases IF no design work has been done on the order. We expect the customer to sufficiently read the listing description before purchasing and will refund the order if 1) the item does not meet your needs and 2) we have not dedicated any design time to the order yet. PLEASE NOTE that Mountain Paper has a two-week delivery time for all customized items. This means that your custom stationery will be delivered up to, but no later than, two weeks from the date of your order approval. We are happy to accommodate rush orders with sufficient notice and information. In most cases, your stationery will be shipped via UPS. As soon as your item ships, your order information will be updated with the tracking number. If you have not received an email with tracking information, your item has not shipped. IF YOU HAVE A TIME-SENSITIVE PROJECT, we highly recommend you purchase a printable. Some products may be available in other stocks, based on the nature of the item or special requests. Yes, Mountain Paper offers a wholesale line! Please email thestudio@mountainpaper.com for a catalog.